Flaxseed oil is one of the richest plant-based sources of omega-3 fatty acids. Also known as linseed oil, this yellowish oil is obtained from the dry, ripened seeds of the flax plant. It protects heart health, improves digestion and also aids in weight loss. Flaxseed oil is also beneficial for skin and hair. 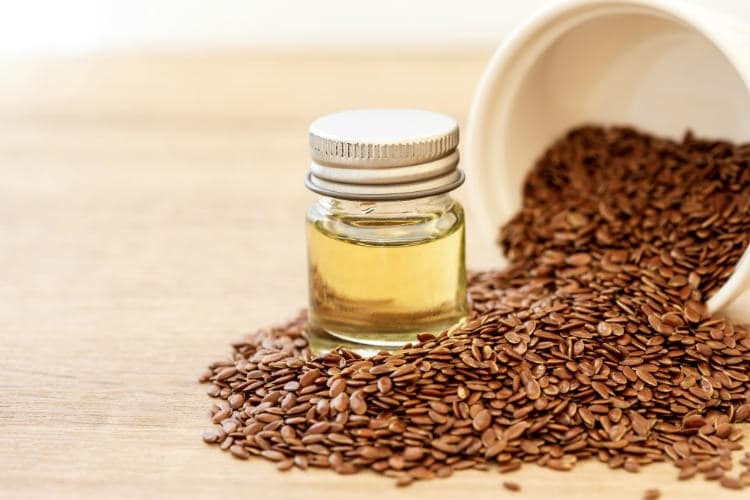 In this article, we will learn about the benefits of flaxseed oil and the various ways to use it. Flaxseed oil, also known as linseed oil or flax oil, is a vegetable oil that is obtained from flaxseed (Linum usitatissimum). Flaxseed oil is rich in alpha-linolenic acid(ALA), which is a heart-healthy omega-3 fatty acid. It contains 50 to 60 percent of omega-3 fatty acids in the form of ALA.
Flaxseed oil has a nutty flavor which is slightly sweet and a bit bitter as well. Flaxseed is one of the oldest cultivated plants in the world. According to specific archaeological findings, flaxseeds were first planted by Babylonians in 2000 BC. There is a mention of flaxseed and its usage in Greek poems. Hippocrates, the father of medicine, is said to have prescribed flaxseed for digestive problems. The ancient Romans used flax for linen, and they also used their seeds in their diet. The king of France, Charlemagne also has entries of the usage of flaxseed in his medicinal journal. Flaxseed has also been used in Ayurveda and traditional Chinese medicine for thousands of years. According to Ayurveda, flaxseed is used for improving the strength and elasticity of the skin and for improving its pH. 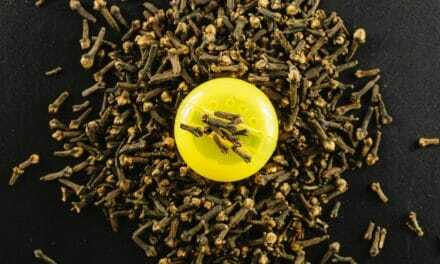 It is also used to treat tumors, and to improve gastrointestinal problems, respiratory issues and for wound healing. Flaxseed oil contains both omega 3 and omega 6 fatty acids. While omega 3 fatty acids help reduce inflammation, omega 6 fatty acids contribute to it. The ratio of these two polyunsaturated fatty acids – Omega3: omega 6 in flaxseed oil is 0.3: 1. Flaxseeds oil has been used to treat constipation in folk medicine for centuries. It acts as a lubricant in the colon and provides relief from constipation. Flaxseed oil is also useful in relieving the symptoms of diarrhea as well. According to a 2015 study, 30 ml of flaxseed oil was given to mice. The study showed that this oil acts as a laxative and also as an antidiarrheal agent, thereby proving that flaxseed oil has numerous benefits for the digestive system (2). Numerous test tube and animal-based studies have shown that flaxseed oil helps to reduce the growth of cancer cells. Flaxseed oil is a mandatory ingredient of the Budwig diet, which is the recommended diet for cancer patients. According to a 2015 study, mice were given .3 ml of flaxseed oil for 40 days. The results showed that the oil helped prevent the growth of lung tumors and prevented the spread of cancer in these mice (3). Another 2015 study showed that the alpha-linolenic acid present in flaxseed oil helps in reducing the growth in breast cancer cell lines by modifying signaling pathways (4). Another earlier study showed that flaxseed oil suppresses colon carcinogenesis in rats without significant side effects (5). Flaxseed oil also helps in improving heart health. Flaxseed oil contains a high concentration of omega-3 fatty acids, which are known to reduce inflammation and lower blood pressure (6, 7). Flaxseed oil also helps improve the elasticity of arteries, which helps lower blood pressure (8). During a 2007 study, 59 dyslipidaemic patients were tested to compare the effects of flaxseed oil and safflower oil. The results of this 12-week study showed that flaxseed oil, which is rich in ALA, significantly lowered blood pressure as compared to safflower oil, which contains LA (9). Cellulite is the result of the loss of collagen and elasticity in the body. As we age, the skin becomes thin, and it is unable to conceal the irregularities created by superficial fat and connective tissues, just below the surface. Consuming flaxseed oil improves the body’s ability to produce collagen, and this helps in reducing cellulite. Eczema is a skin ailment that causes dry, inflamed and itchy red skin. This condition can arise due to an allergic reaction to certain foods or due to chemicals present in soaps, perfumes or other skin care products. Consuming flaxseed oil can improve the health of the skin and reduce inflammation and other symptoms of eczema. The fatty acids present in flaxseed oil improve skin health in general and also treats skin conditions like eczema. Flaxseed oil is a natural laxative that helps keep the digestive system healthy. Toxins in the body can lead to bloating and weight gain. Flaxseed oil lubricates the colon and helps the body get rid of waste quickly, which aids in the detoxification process. According to a 2015 study, adding flaxseed oil to weight loss diet helps in weight loss and also reduces inflammation markers such as CRP and TNF- α (10). Sjogren’s syndrome is an autoimmune condition that is characterized by dry eyes and dry mouth. In this disorder, the body’s immune system attacks its healthy cells that produce saliva and tears. According to a 2007 study, taking oral flaxseed capsules of one or two grams per day can reduce ocular surface inflammation and the symptoms of keratoconjunctivitis sicca (dry eyes) in Sjogren’s syndrome patients (11). The omega 3 fats present in flaxseed oil are known to reduce joint pain and stiffness associated with osteoarthritis. The alpha-linolenic acid and other related chemicals in flaxseed oil are helpful in reducing inflammation (12). This is the reason why flaxseed oil is useful in lowering rheumatoid arthritis. Flaxseed oil also helps to reduce the symptoms of menopause. 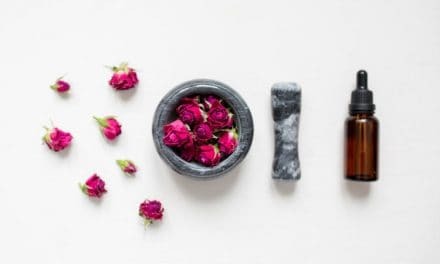 According to a 2015 study that involved 140 menopausal women, using flaxseed oil supplements for three months helped them reduce symptoms of menopause and improve their quality of life (13). 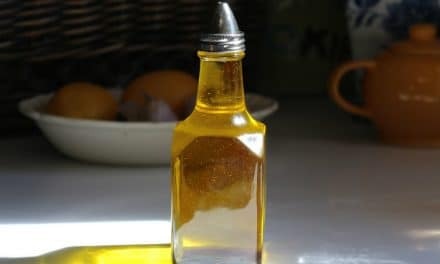 Flaxseed oil is highly sensitive to light and heat, so you should store it in a dark or opaque glass bottle. It must always be kept in a refrigerator to retain its freshness. Keep the container of this oil tightly closed to prevent oxidation and rancidity. Flaxseed oil should not be used for everyday cooking as it does not have a very high smoke point. It can form harmful chemicals if exposed to high heat. You can use this oil in place of other oils in salad dressings, sauces, and dips. Adding a tablespoon of flaxseed oil to your smoothies or shakes is an easy way to add it to your diet. You can also use flaxseed oil on your skin to moisturize it and to keep it healthy. Add flaxseed oil to your hair mask to promote growth and shine. If you don’t want to add flaxseed oil to your food, you can also take it in a capsule form. There is no recommended dosage for flaxseed oil. It depends on your overall health and how much EPA and DHA you have in your diet. The general recommendation is to take one tablespoon of flaxseed oil in a day. If you prefer to take capsules, you can take one or two per day. Taking more than amount can lead to digestive problems. It also inhibits the absorption of medications and other nutrients. When taken in the recommended amounts, flaxseed oil is generally safe to consume. However, if it is consumed in large quantities, with too little water, flaxseed oil can cause diarrhea, gas and bloating. Flaxseed oil can also cause an allergic reaction in some people. You should also avoid consuming flaxseed oil during pregnancy. Since flaxseed oil might decrease blood clotting, you must stop using it at least two weeks before surgery. Also, if you are taking an anticoagulant or antiplatelet drug, you must avoid taking flaxseed oil as it may increase the risk of bleeding. Taking flaxseed oil along with blood pressure drugs or supplements may lower blood pressure too much. Flaxseed oil has anti-estrogen effects. So, taking it along with oral contraceptives or estrogen replacement therapy might reduce its effects. Also, avoid taking flaxseed oil and fish oil together as it may cause your blood to become too thin. Flaxseed oil is vegetable oil which is considered to be one of the best sources of omega-3 fatty acids, which provide its multiple health benefits. It helps in improving digestive health, fights cancer, boosts heart health, improves skin health and reduces eczema, reduces arthritis and menopause symptoms and treats Sjogren’s syndrome. You can use flaxseeds oil in your salads and smoothies or can have it in capsule form. 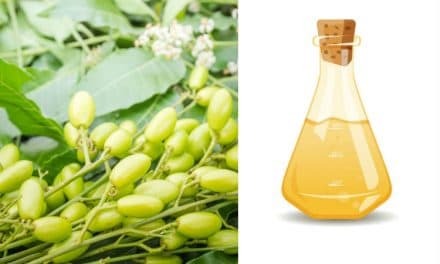 Add this healthy oil in your daily diet and enjoy its health benefits. NextHow to Stay Away from Pit and Fissure Cavity?